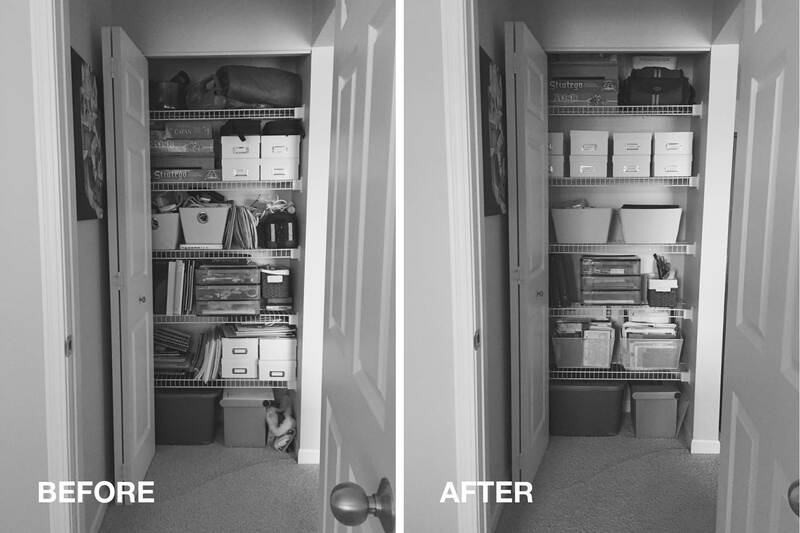 Closets have always been my best cleaning friends; stuff all the random junk in there and quickly close the door. Not fun when finding things though. In fact, finding things in our closets is stressful. Enough was enough. This week was “tackle the closet” week. Some would call it spring cleaning. I would call it “make it work, so I don’t need to spring clean it next year“. In my mind, spring cleaning doesn’t exist when you have significantly less stuff. Here are a few little tips that I used while cleaning out my messy closet to make sure that it wouldn’t require an overhaul in a year. You guessed it! Be willing to part with anything that doesn’t have an immediate use. I gave away unused electrical cords, old movies and electronics, unneeded files, unused multiples of office supplies, and etc. 2. 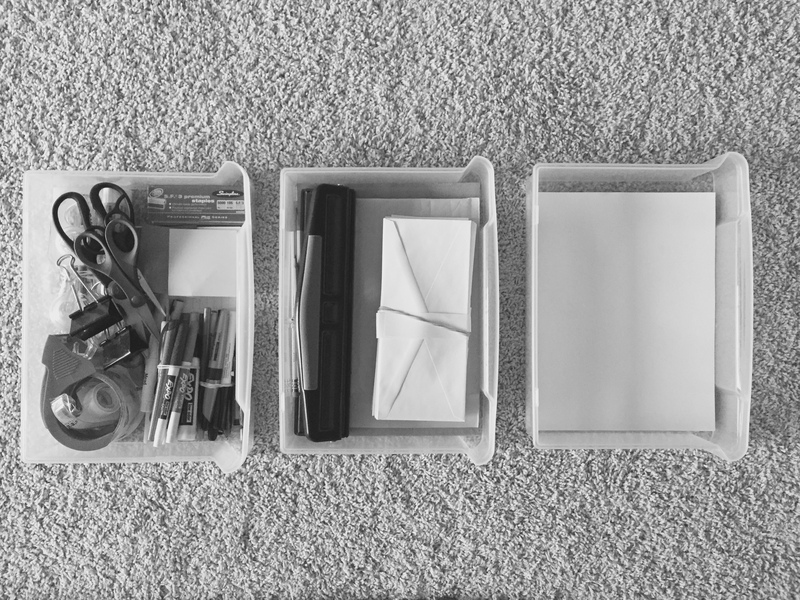 Make it easy to put things away. If it’s difficult to put something away there’s a good chance that it will cause clutter while it waits to return to it’s home. Make sure storage containers are unimpeded so items make it home quickly and easily. I had to reduce the amount of items stored in these drawers to make them easy to open and to find things. Move items to where they will be most logically found later. Aim for putting things where they belong rather than where it may be convenient. Instead of squishing boxes together, provide some wiggle room on both sides of the storage containers. This provides a small sense of calm when locating an item.